If you’re like the majority of millennials in the US, you’re paying for housing. Whether in the form of rent or mortgage, it’s still got to be the single biggest line item on your budget. And if you’re here in Los Angeles (or another majorly saturated city), paying rent hurts. Since graduating from college, I’ve paid anywhere from $1,680-$2,750 for a one bedroom apartment in Los Angeles — and I saw that rent increase by over $50 each year if I stayed put. If I moved on to a new place, it jumped even higher. I remember sitting in my kitchen in Culver City in 2015 when I realized how much money I gave to landlords over the years, and how I wish some of it came back to boost up my portfolio. I thought, if I’d held onto a fraction of this cash, I’d have a down payment by now. That’s when I decided to start aggressively saving for my own place, and by 2017, I was able to get it! And while my shiny new mortgage is just shy of $2,400 per month, I’m actually only paying $435.66 per month. That’s less than I paid to live in the Startup House. So how am I getting away with shelling out 18.17% of my mortgage? Two words: House Hacking. Okay, so what is house hacking? It’s one of those “so simple it hurts” concepts — at least in theory. Basically, the idea is you buy more house than you need, and rent out what you’re not using. Typically you’d look for a duplex, triplex, or fourplex, but here in Los Angeles, those are a bit harder to come by. Instead, I went for a three-bedroom townhouse with separate bathrooms and plenty of parking spots. I knew I only needed one of each. 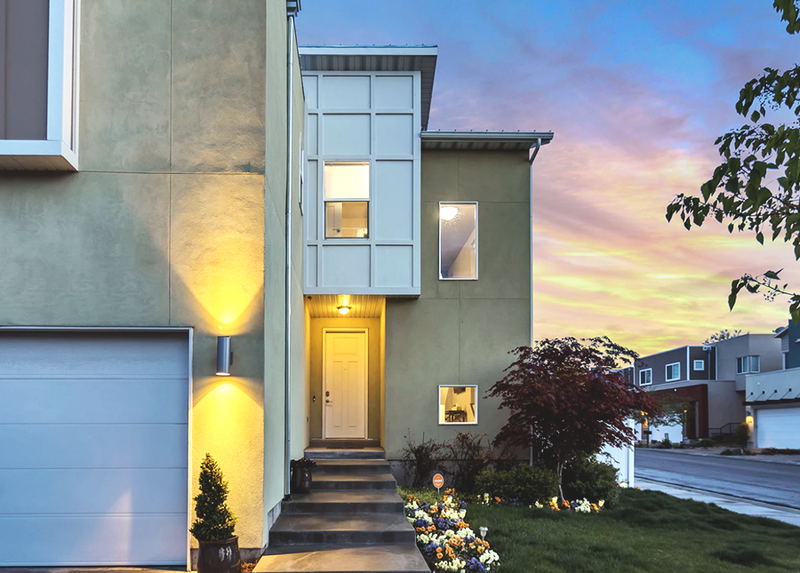 I still get the allure of having separate units and maintaining your privacy — so if you aren’t comfortable living with others and can’t find a duplex, this might not be for you! If you find a great place and can offset your entire mortgage, you win. If, like me, you’re subsidizing your living costs with the extra renters, it’s still a victory. The goal is to bring your expenses down while building your equity up. What can you house hack? Really, any space that you’re not using. If you can find a multi-family unit (aka a duplex or triplex), it’s pretty self-explanatory; just rent one of the units that you’re not living in! If, like me, you’re in a single family home, consider renting out any extra bedrooms you have, or a basement or garage space. Airbnb is also a good option if the numbers make sense, and you don’t want a long-term commitment! I mean, it really comes down to your preferences and whether you’re willing to put in a bit of extra work. I mentioned before that this isn’t for everyone. If you can’t live peacefully with renters or just value your privacy more than the extra cash, don’t house hack. Personally, I screen the living hell out of my renters with free tools like Cozy, along with good old-fashioned Google and social media. I meet with them and talk to them to really try to get a strong sense of who they are before we put anything on paper — and I encourage everyone to do the same. You don’t have to be best friends with your renter, but you do have to live with them! Or, you don’t – if you’re more interested in Airbnb-ing the extra space, you can put up with someone for a night or a week. It’s really up to you! If you’re nervous about the responsibility of being a landlord, I get it. Learning how to draft leases, snake drains, and rescreen windows was all new to me. Working with contractors to get a shower fixed felt like a lesson in being conned just for not having a man by my side. But you know what? At the end of the day, you’re a smart and capable person. If you’re willing to do research, you’re going to be just fine. And it never hurts to ask for help from those who have been there before! I’m a big fan of free resources like Bigger Pockets, an online community of real estate investors (and enthusiasts) figuring it out as they go, too. It just goes to show that there’s an online resource for everything! Sure, it’s not the ideal living situation for everyone, but if you don’t mind the extra legwork, house hacking pretty much kills one of your biggest monthly expenses. For those of us just hitting our stride, there’s no better time to try it — just be smart about the home you find and the renter you want to live with — and get ready to unclog that shower drain yourself!